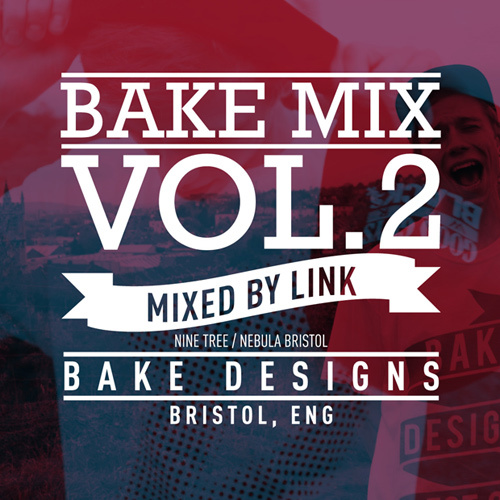 Bristol based streetwear brand Bake Designs drop their greatly anticipate Bake Mix Vol.2 mixed by Bristol DJ ‘Link’, bringing some deep and heavy Dubstep flavours. After the success of Bake Mix Vol.1 (mixed by yours truly), I’ve been eagerly awaiting the second instalment in what looks set to be a very good mix series and I know I wasn’t alone in this eager anticipation. Well now we can all sigh in relief as Vol.2 drops with an incredible track list of deep and heavy Dubstep from Bristol DJ and another friend of Bake Designs, Link. Mixed purely on vinyl, it’s nice to see both Link and Bake Designs pushing the heritage factor of DJing. I don’t know if it was an accidental theme, but the first quarter of the mix appears to be Dubstep tunes from Drum & Bass producers. Intended or not, I like it. A strong track list mixed seamlessly. This is the first time I’ve heard Link on the 1’s and 2’s, but I’ll be keeping an eye on him from now on.